Isabel Lee | Malaysian Beauty & Lifestyle Blogger: [Beauty] 4 Korean Beauty Products That Look Just Like Food! [Beauty] 4 Korean Beauty Products That Look Just Like Food! Check out my unboxing video below! Chocopie is not very popular here in Malaysia but boy was I surprised when I googled it! The similarity is uncanny! Very very interesting since the hand cream itself is quite thick, making it look like warm, melty marshmallow! And this thing smells uh-mayzing too so you'll really enjoy the scent on your hands. With macadamia seed oil, shea butter, marshmallow extract (wait it actually contains marshmallow!?) and cacao seed butter, it effectively moisturises my hands. It even works well on the rest of my body! A mild exfoliator without scrubbing beads, suitable for sensitive skin. It looks just like a tub of yogurt and smells yummy. It even comes with its own little spoon! The texture is quite thick and you only need a small amount so this tub will probably last me forever. Apply on dry skin and massage until little balls appear. If your skin is dirty, they will be grey-ish. If you prefer stronger scrubs like me, the next item might strike your interest. The application is also as unique as it looks! First you crush a cube with some water and lather it up. 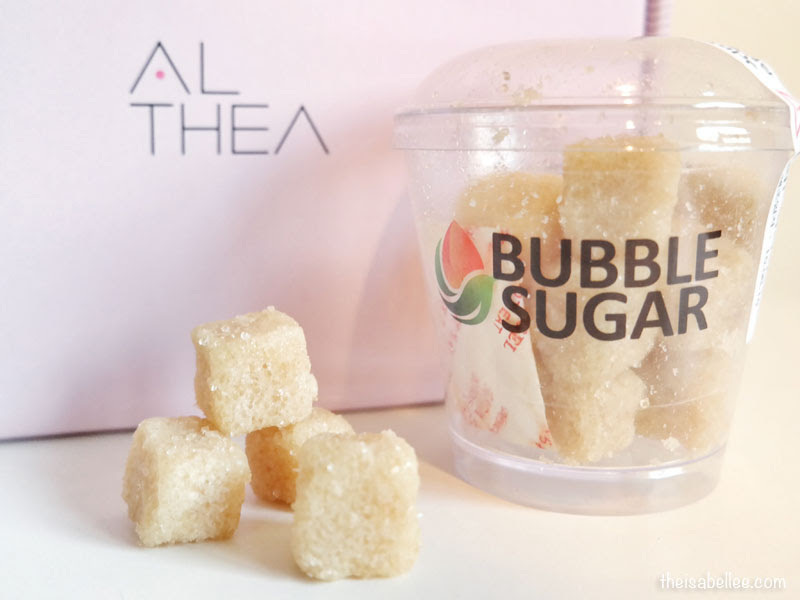 Although it looks like a normal sugar cube, it actually does lather well. Scrub your face gently and rinse off. Because of the fluffy bubbles, the scrub isn't as harsh but definitely felt VERY satisfying. Hard to explain but my video will be up soon! This set looks ridiculously similar to real eggs, even with their very own egg box! 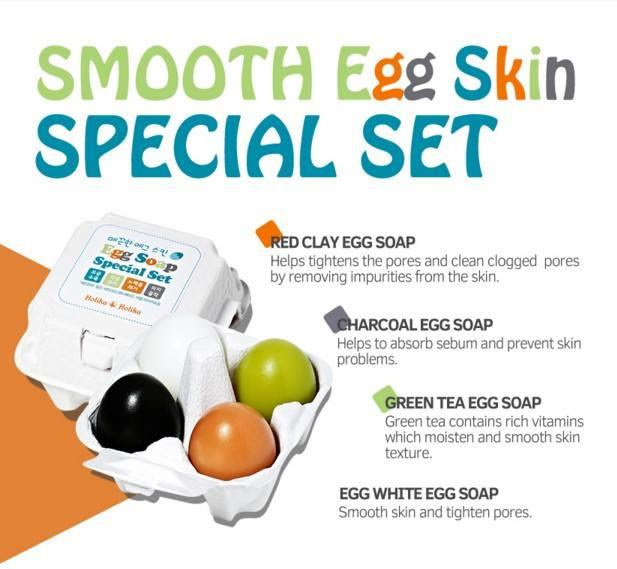 Each egg has a different function to suit different skin types. Some people said the eggs disappear real quick. The trick is to store them in a container to dry after each use. You really only need a tiny bit to wash your face as it lathers well. Currently I'm using the Charcoal Egg and it has a really strong perfume, which not everyone may like. Will try the Green Tea Egg next! Super enjoyed my entire parcel from Althea Korea! 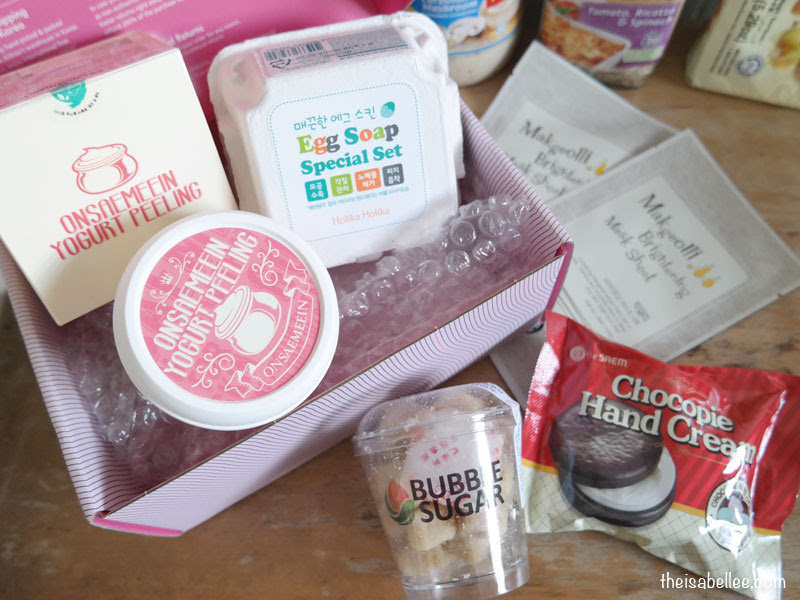 I think these make great gifts, especially if your friend is a fan of Korean beauty products. I really like that you incorporate videos in your reviews now to show live testing! thanks Isabel! Gosh! love the presentation of this beauty box. You make me craving for choco pies. Omg. I love how you actually put everything in place. I've seen many review on the egg one, and I can't believe I'm actually can buy them! OMG! Those are totally so similar to food! I might eat them too - so cute and the similarity is uncanny! Kudos for producing something that is so yummy looking! Chocopie looks good. Will get a pack for my children to try it out. Hahaah they are all sinfully adorable, and also needs more care and caution, coz others might think these are real foods! Especially kids. The chocopie hand cream is so cutee! And the eggs soap as well! really looks like food. now i'm not sure whether to use them or eat them. lol! Look so yummy and look exactly like real food. I heard the product is good and want to try it. I might eat them Lolx! My son might even thinks I'm not sharing these food with him.